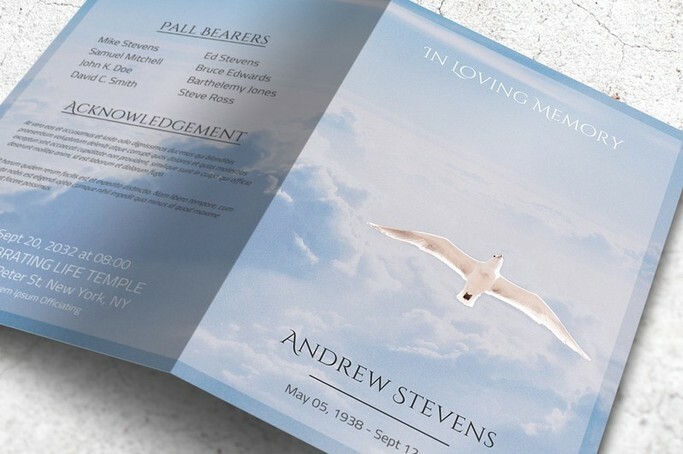 If you need help in creating a program handout for the memorial service then this ready-to-download template is what you need. 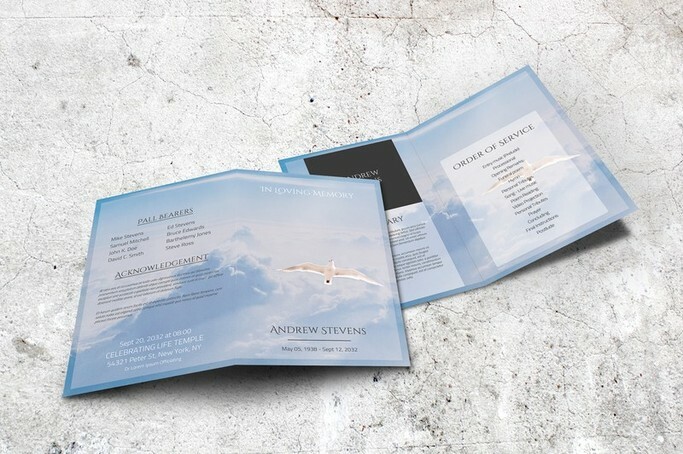 It has a tranquil sky on the background and a white dove which in many cultures and traditions symbolizes the spirit which is now free and returning home. 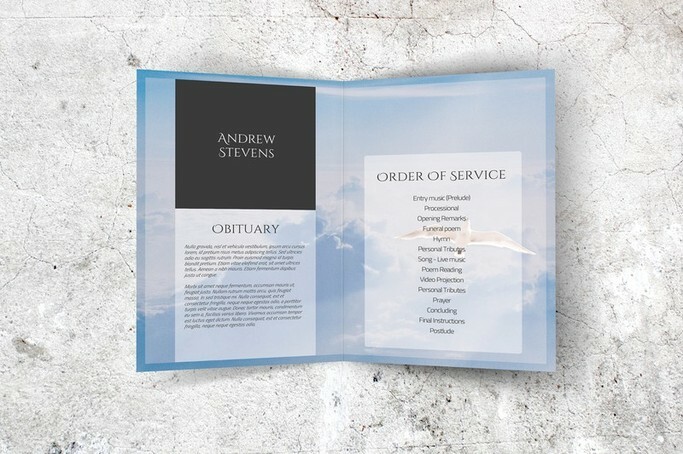 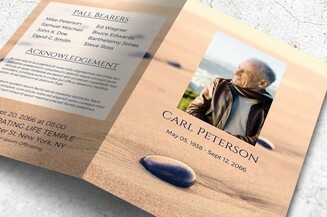 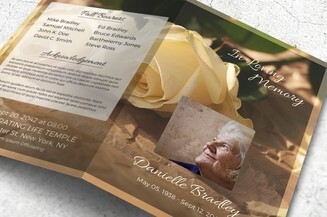 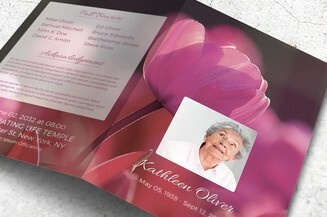 You can further customize the file with your own text and print as many documents as you need for distribution to the funeral attendees.